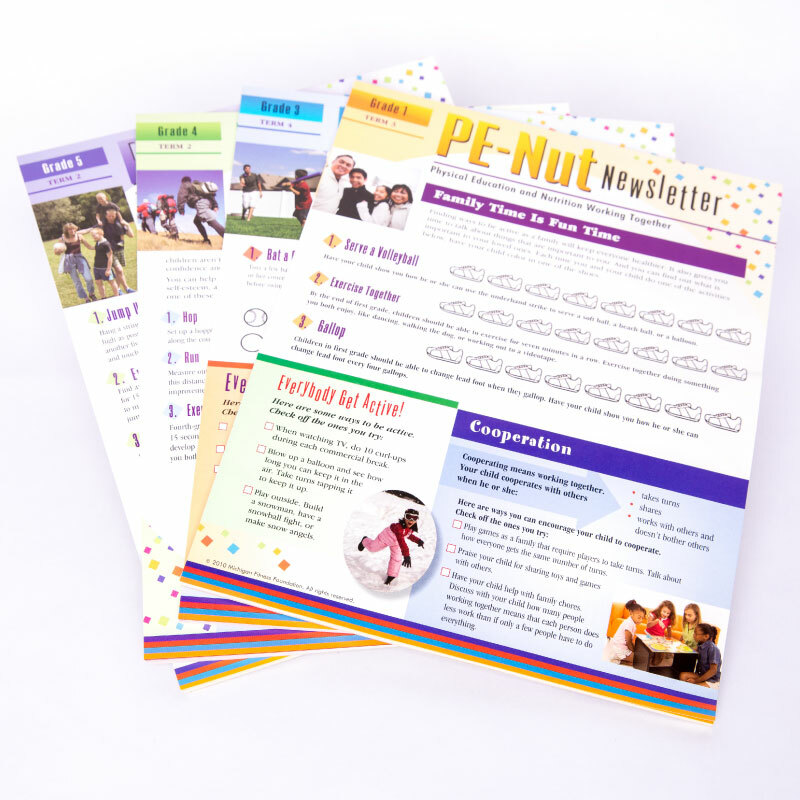 These PE-NutTM Family Newsletters reach parents four times per year with information about healthy eating and physical activity. Each newsletter explains a physical education skill and personal/social skill. Tips for being active as a family are included as well as information about nutrition myths and misunderstandings. 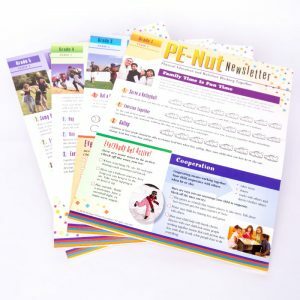 Newsletters are grade-specific, K–5, and come in tear pads of 30.